For the past couple of years, I’ve ridden the Gravel Metric on Memorial Day weekend. It’s a well-run event put on by an excellent group of people. But this year I was looking for something different–something not in farm country. Enter the Bear 100. 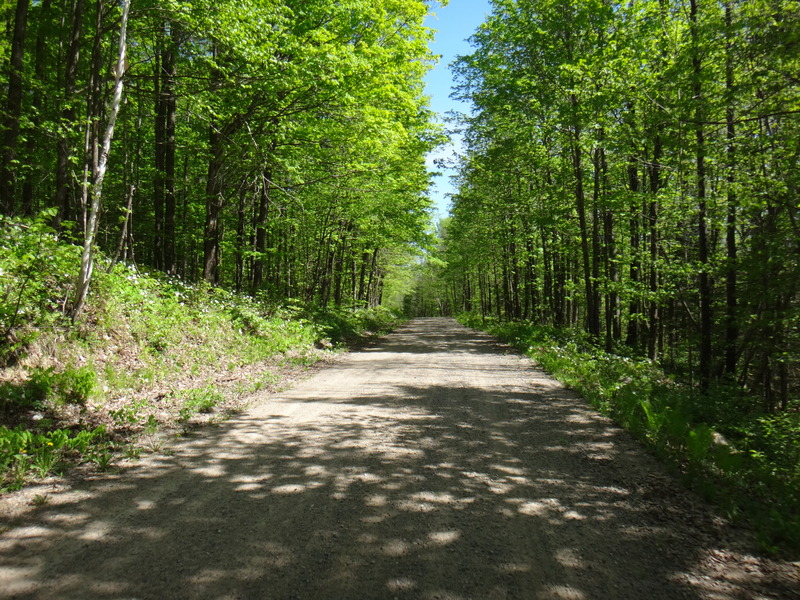 Either 100 miles or 100 kilometers (or 25 miles, if you just want to dip your toes) of Nicolet National Forest roads, jeep track, and ATV trails starting and finishing in Laona, Wisconsin. And it doesn’t hurt that we can combine the ride with a visit to the in-laws, who live just a bit west of Rhinelander. Get up at 0430, do the morning thing, and drive to Laona from the farm. Ride the ride at a sporty tourist level of effort (it being very nearly the longest ride of the year so far–and certainly the longest gravel ride). Get some lunch, drive back to the farm. Drink beer and eat grilled things. This turned out to be a perfect plan that went perfectly. 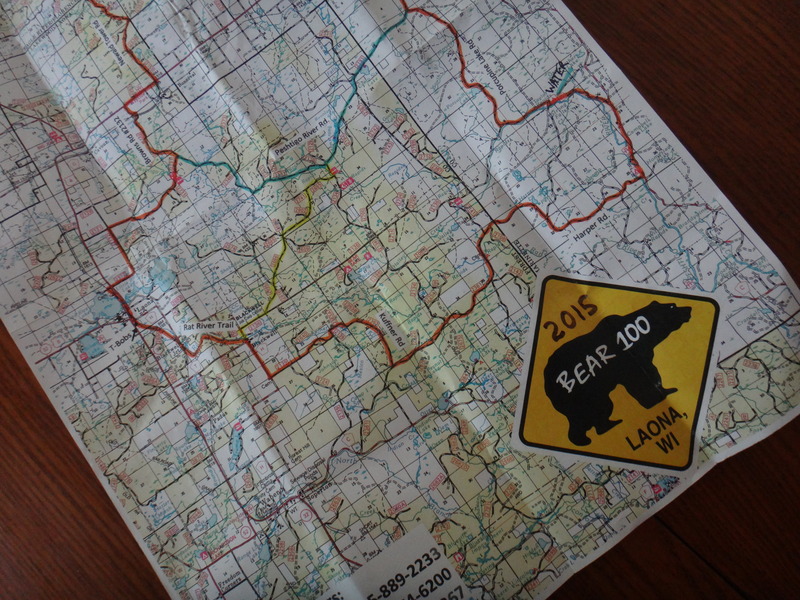 I finished the 100k version of the Bear in 4:33, took in some beautiful national forest roads, trees, and water and then proceeded to execute the rest of the plan. I’d even brought a growler of Panthro porter from One Barrel Brewing Company for post-race rehydration. 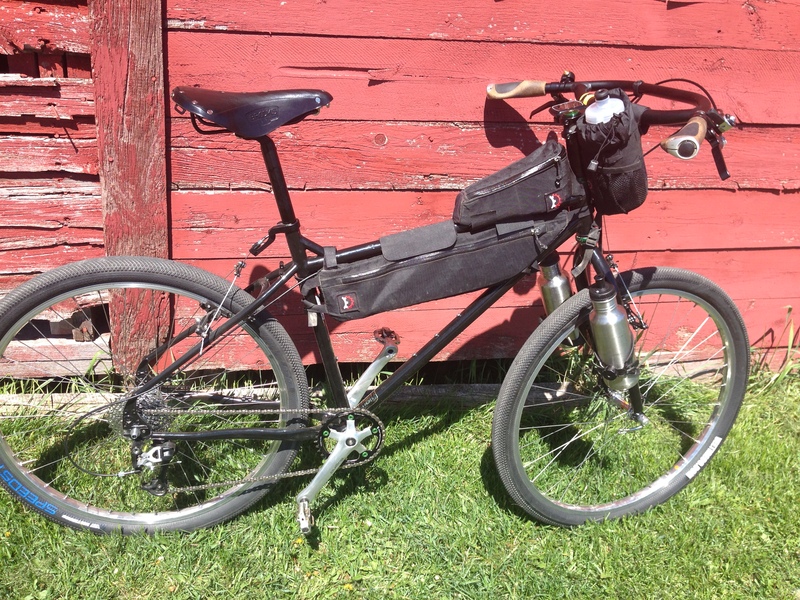 I rode the newly built 650b Troll with a Revelate Tangle (for tools, tubes, and other such things), a Revelate Gas Tank (food), a Mountain Feed Bag (water bottle), and two fork-mounted bottle cages. Not pictured: the cuesheet holder I whipped up with two zip ties, two binder clips, and a plastic bag. 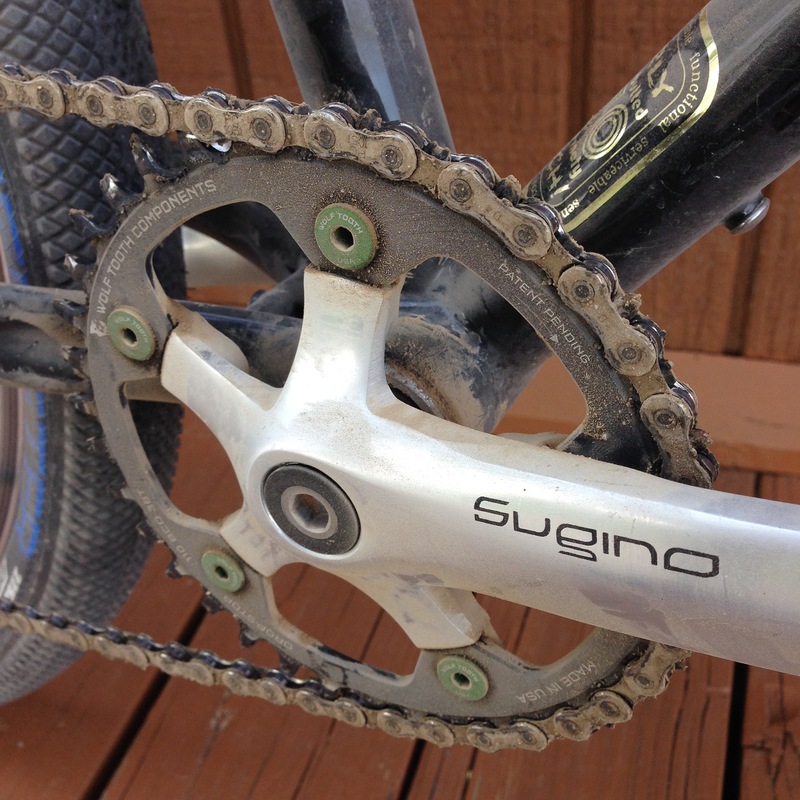 The Troll proved itself to be a fine all-road, all surface rig. 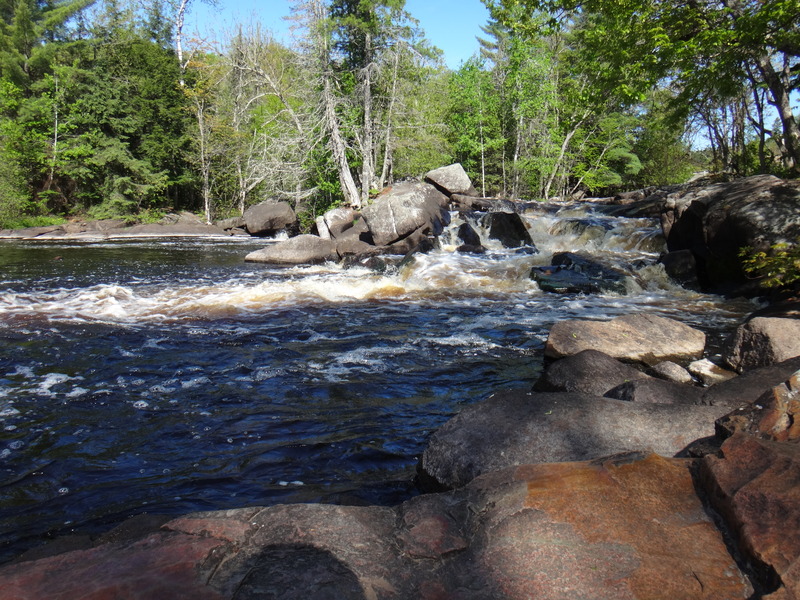 It handled well no matter the surface: pavement, gravel forest roads, jeep track, ATV trail–even the long stretch of fresh, uncompacted red granite on the Rat River Trail. The water system was something of an experiment. Even though it’s reasonably easy to reach and drink from the bottle in the Mountain Feedbag (I’d either swap in the other bottles or refill from them, depending on where I was), it’s still quite a bit easier and more efficient for me to drink from a water bladder that’s stored in the frame bag. I have a full frame bag that fits this bike, so that’s probably what I’ll do in future when riding this bike in longer events. The Jones Loop handlebars remain favorites, but if I’m going to use them for anything that’s longer than 4-5 hours, I need to wrap the entire bar so that I can more effectively use all of the possible hand positions–though it might just make more sense in the end to use dirt drops (like Salsa Woodchippers) instead. Oh, and it’s not the best idea in the world to ride 100k on gravel forest roads on a new Brooks B17. It wasn’t disastrous, but the saddle was starting to tenderize me just a bit after about 55 miles. How excellent! I should have stayed up there to do one more ride before returning to Texas. However, I don’t usually spend so many long days in the saddle, and I was approaching a state of tenderized myself. There’s always next year…and the 100k is only a half-day in the saddle, with a few fine places for lollygagging built in, if one is so minded. Beautiful! This does look like one for which to strongly consider making the trip north!